A list of the best spots to buy high-quality ingredients from around the world, curated by prominent East Bay cooks. Bert Johnson Nigel Jones at Minto Market. For anyone interested in cooking authentic ethnic cuisine, the single "ethnic" aisle at any chain grocery store can be saddening. Luckily, the East Bay, one of the most diverse areas in the country, is abundant with specialty grocery stores. To tap into that resource, we asked four prominent East Bay chefs who specialize in ethnic cuisine where they buy their imported ingredients and what they make with them. Temescal's Juhu Beach Club (5179 Telegraph Ave., Oakland) specializes in Indian street food served in a beachy sit-down setting. The center point of its menu is its selection of pavs — slider-sized sandwiches on fluffy, freshly baked buns from Starter Bakery. The fillings reflect a bit of fusion: Pulled pork with barbecue vindaloo sauce and cilantro yogurt slaw comes in the Pork Vindilated, while the innards of the Sloppy Lil'P are described as a "buttery and spicy veggie sloppy joe." But even though some of the flavors stray from the traditional Indian palette, Juhu's chef and owner, Preeti Mistry, still requires high quality, specific ingredients that can be difficult to find if you don't know where to look. Mistry's go-to is Vik's Market in West Berkeley. Sometimes she buys produce there that is difficult to find elsewhere, such as bitter gourds or tiny Indian eggplant. But mostly, she buys dried goods — which can be purchased in bulk as well as in smaller quantities — including whole spices, dhal, flour, and rice. For "doswaffles," a popular Juhu brunch item that combines the Indian dosa and the Belgian waffle, Mistry uses Vik's white, washed dhal, which she grinds and ferments before turning it into batter. For those who'd rather skip the prep process, Vik's also sells pre-made dosa batter that Mistry says would work great for attempting a "doswaffle" at home. Kingston 11 is like a slice of Jamaica in the middle of Uptown Oakland (2270 Telegraph Ave). The restaurant specializes in slow-cooked meats with its signature dish being jerk chicken. Chef Nigel Jones is originally from Kingston, Jamaica, and when it comes to cooking the food of his country's diaspora, he puts in a lot of care. That includes shopping in the right place. Jones frequents Minto Jamaican Market for everything from cooking ingredients to prepared snacks — such as a "patty," a flaky pastry stuffed with meat filling and spices, which Jones referred to as the Jamaican version of a slice of pizza. That's also where Jones gets his produce staples like Jamaican yams, which are more hardy and potato-like than the yams typically eaten in America; callaloo, a leafy, green vegetable similar to spinach that is simmered down to a stew-like consistency to make a dish of the same name (a Jamaican staple); and ackee, the national fruit of Jamaica. Jones uses that to make Jamaica's national dish, ackee and saltfish (cod), which is saltfish sauteed with boiled ackee, onions, Scotch Bonnet peppers, tomatoes, and spices. Every weekend at Kingston 11, Jones serves the dish for brunch with fried dumplings, sweet plantains, and Jamaican cassava bread. Aburaya began as a pop-up, but quickly became a downtown Oakland dining staple. The Japanese fried chicken operation is open for dinner at Garden House (380 15th St.) from Wednesday through Saturday, and serves up lunch at The Hatch (402 15th St.) from Tuesday through Friday. Aside from its ever-changing menu of innovative sides — often including wasabi slaw, kurobuta tonkatsu, and kobe beef tartar — Aburaya dishes out fried chicken with a choice of nine different Japanese seasonings, ranging from umami salt to agave ginger teriyaki. But for those interested in making their own Japanese food, there are very few places to shop. Aburaya head chef Adachi Hiroyuki said that he usually goes to farmers' markets in Berkeley and Oakland's Grand Lake District for his fresh ingredients. 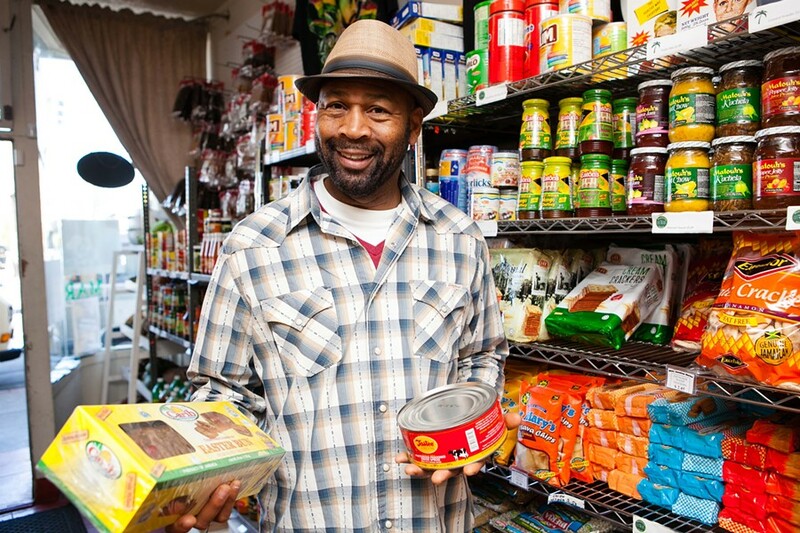 For spices, he frequents OakTown Spice Shop, a purveyor of high quality spices from all over the world. That's where he buys the Japanese curry powder and shichimi (a Japanese chili mixture made of seven different spices) that he uses for his chicken rubs. Many other basic Japanese ingredients can be found at Koreana Plaza (2370 Telegraph Ave., Oakland), he said. And for products like sake or Japanese knives, he recommends Nijiya Market in San Francisco's Japantown (1737 Post St.). FuseBox is tucked away in a warehouse district in West Oakland (2311 Magnolia St.). But behind its gated entryway sit welcoming picnic tables, a cozy indoor dining room, and an ever-shifting menu of Korean cuisine, often with a fusion twist. But despite the restaurant's Korean roots, FuseBox head chef Sunhui Chang prefers to shop where he can find the freshest produce and proteins rather than at Korean-specific markets. 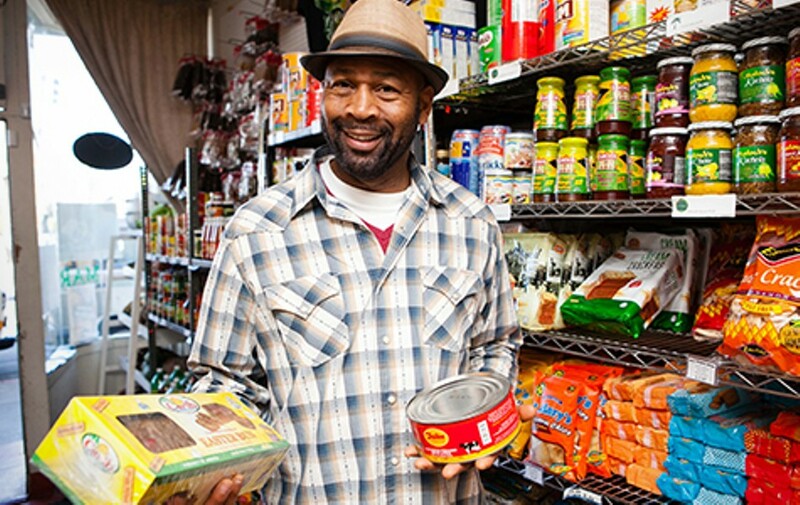 He calls his favorite local grocery shopping routine his "Hopkin's Street Route." First, he enters Berkeley through the Gilman Street corridor and makes his first stop at Tokyo Fish Market where he often finds difficult-to-get seafood — such as coonstripe shrimp — that determine his daily specials. That's also where he buys unique items like yuzu (an East Asian citrus fruit) or ume (Japanese pickled plum). Then, he heads to the nearby Monterey Fish (1582 Hopkins St.), a reliable hole-in-the-wall shop with similar seafood finds. And lastly, he moseys around the adjacent Monterey Market (1550 Hopkins St.) to pick up top quality produce for both his professional and personal kitchens.